Please scroll down for bookings. Our Opening Night at our new venue is on Monday 14th and in celebration of our opening night I have invited a Guest Gong Master to join us. Meet Gong Master Michelle Treadwell, also a student of Don Conreaux. Michelle will be playing her Paiste Chiron gong. Chiron and my Symphonic sound just beautiful together. There will be layers of sounds from various instruments. IMPORTANT What should I bring Wear loose comfortable clothing. Please bring a bottle of water, yoga or camping mat or similar, a blanket or sleeping bag and cushion or pillow for total relaxation and warmth. Body temperature can drop rapidly during the gong bath. How much is it £15.00 . Important – Please arrive by 7.15pm latest allowing ample time for settling in and a little quiet time before we start. I recommend you arrive a little early with time to relax for the best experience. 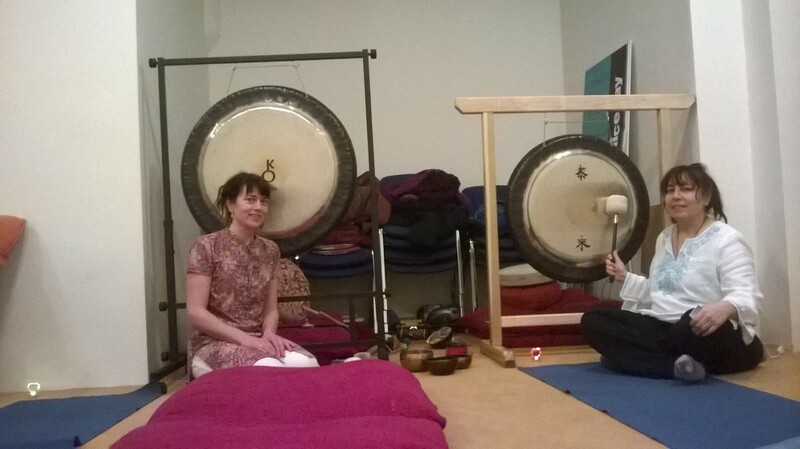 Once the Gong Bath starts at 7.30pm it will not be possible for latecomers to gain entry. Welcome to our new and fabulous Sound Bath venue in the heart of North Finchley, a suburb in North London. Such a pleasure to bring Gong to my neck of the woods. We can be found on the first floor at the Creative Space within the Arts Depot, North Finchley’s premier art space. Artsdepot is completely accessible to wheelchair users with step free access throughout. Multiple lifts provide access to all floors. If you arrive early, feel free to relax in the comfy Cafe.